Fenway Park, home of the Boston Red Sox, will host the 135th Harvard-Yale Game this year. Tickets to the Harvard-Yale Football game on Nov. 17 will be free for undergraduate students but will come with assigned seats, according to an email sent to students from Dean of Students Katherine G. O’Dair on Tuesday. 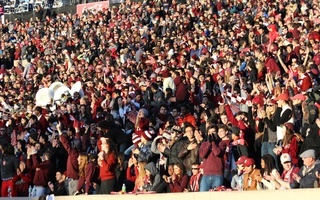 Tickets for Harvard students have historically been free when the annual football game is hosted at the University’s stadium. In a departure from tradition, this year’s Game, the 135th matchup between the two teams, will be played at Fenway Park. 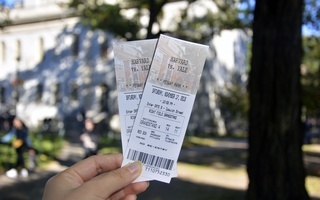 Students can pick up one free ticket per HUID, as in past years. However, each student will have to sit in the seats assigned on his or her ticket, a policy that O’Dair wrote is a requirement of Fenway Park. 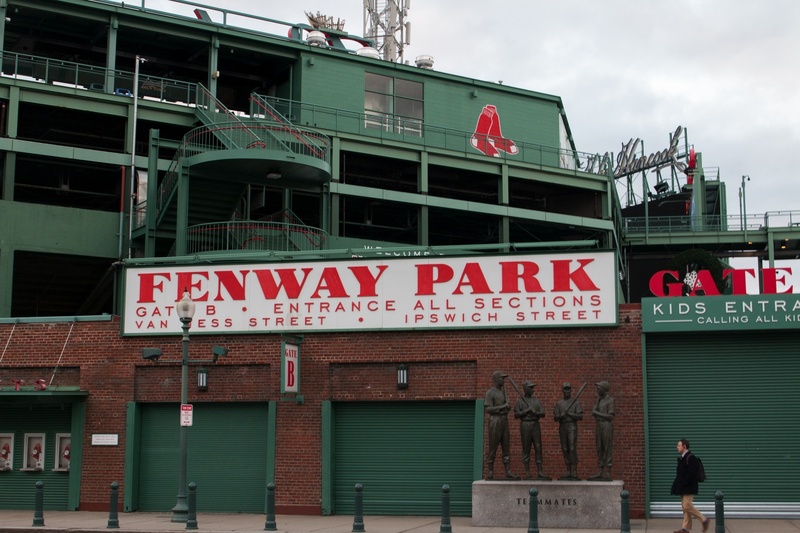 “Fenway Park will be enforcing seating assignments within the designated student sections, so if you are interested in sitting next to one another, you must claim your ticket at the same time as others you wish to sit next to,” O’Dair wrote. While in past years, students were able to purchase tickets for guests from the Athletics Box Office, this year students are strictly limited to one ticket per HUID, according to the email, which O'Dair sent on behalf of the Athletics Department. Ticket distribution will also take place earlier this year than in the past. Students can pick up their tickets at the Smith Campus Center on Oct. 11 or 12, or at the Murr Center between Oct. 1 and 18. In 2017, tickets could be picked up until two days before the Game. Out of 23 students who shared their opinions with The Crimson, 17 said they were dissatisfied with the changes to the seating arrangements or the guest policy. 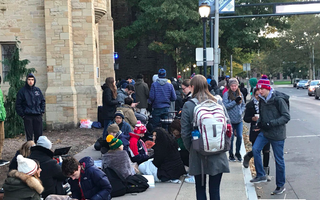 “It’s going to be difficult to get tickets next to friends because we can’t schedule a time to pick them up together,” Marissa A. Rodriguez ’19 said. Many of the students also said they think it will be difficult to enforce assigned seats, since students move around during the Game. Students said the inability to purchase guest tickets has changed their tentative plans for the Game. Last year, students could purchase guest tickets for between $55 and $75. Without a guest ticket program for students this year, those interested in bringing guests would have needed to purchase them through the Athletics Box Office. But general admissions tickets for this year's Game — which ranged in price from $25 to $125 — went on sale April 27 and have since sold out. Some resold tickets on the ticket site StubHub are listed for more than $300. In her email, O’Dair wrote that students may not resell their tickets to either other students or members of the public. While several students said they were unaware of, or didn’t have strong opinions about, the new policies, Kendall N. Laws ’21 said the logistical changes and potential complications may deter her from going to the Game at all. O’Dair’s email also informed students that the University will provide free transportation for students between Harvard and Fenway Park. The Athletics Department’s website says Harvard will be hosting a FanZone near Fenway, open to the public for free, where guests can purchase food and beverages. The email did not go into specifics about where student tailgates, typically held outside of Harvard Stadium, will take place. In an interview last fall, Athletics Director Robert L. Scalise said the Athletics Department hopes to hold tailgates near Fenway Park to increase attendance at the Game. 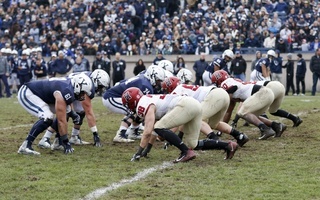 A previous version of this article incorrectly stated that The Game will be played on Oct. 17. In fact, it will be played on Nov. 17. —Staff writer Madeleine R. Nakada can be reached at madeleine.nakada@thecrimson.com. Behind the scenes, Harvard’s athletics department is working to push its ticketing operations into the digital age and has quietly instigated a steady rise in attendance over the past five years, bucking trends that have set in at other schools.